Are you an experienced practitioner or just starting out in medical aesthetics? e-MASTR can help you create and build a truly successful medical aesthetics practice. e-MASTR offers you a unique collection of hundreds of stunning Botox & Dermal Filler training videos by one of the UK’s most successful practitioners Dr Tapan Patel. These incredible videos and animations, shot in crisp detail and with full audio descriptions include treatment planning, facial assessment, injection techniques and facial anatomy. 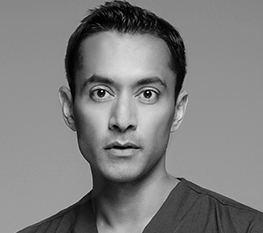 Dr Tapan Patel has been practising medicine for almost 20 years and has specialised in cosmetic dermatology for over 15 years. He is a leading expert in facial aesthetics who lectures and teaches colleagues around the world, as well as being the founder and director of the highly successful PHI clinic in London, three times consecutive winner of the Aesthetics Awards: Best Clinic London. Regularly featured in the press and on TV, Dr Patel is an expert in a full range of medical aesthetic procedures, with a focus on achieving subtle, natural results. An outstanding value offer with annual or quarterly payment options costing less than many single day training courses.